Inside the Blue Building: How Often Should You Change Transmission Fluid in a Racing Automatic Transmission? Automatic transmission fluid (ATF) comes in a wide variety of types and specifications. For your daily driver, fluid changes are required very seldomly in most cars and trucks and should be filled with the manufacturer’s recommended fluids. In a racing automatic transmission, fluid usage and recommendations vary wildly depending on the transmission builder’s preferences, experience, car weight, engine type, and racing conditions. For most racers, a synthetic or semi-synthetic is the best choice. 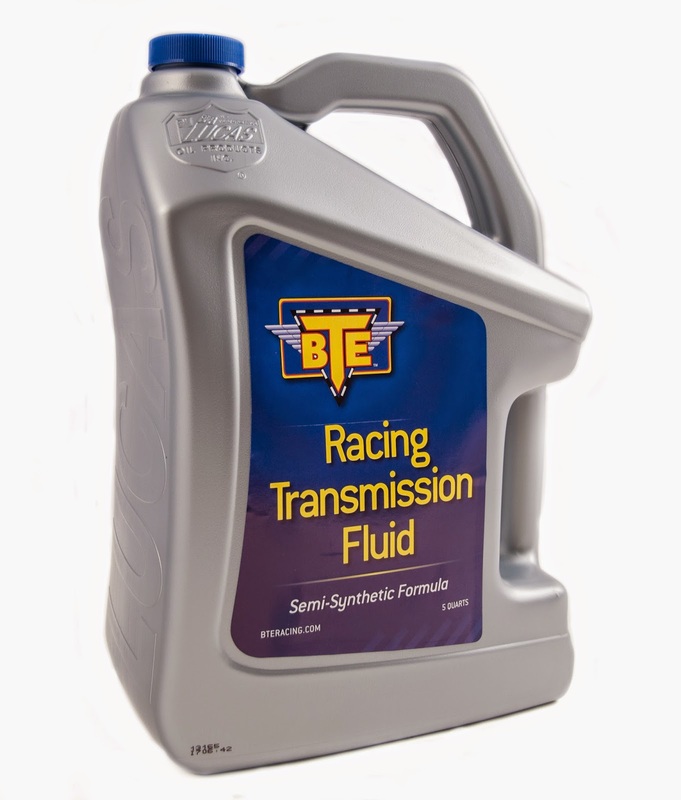 Fluids such as our BTE Racing transmission fluid feature a higher temperature flash point and anti-foaming agents not found in conventional fluids. BTE suggests changing fluid based on regular inspection. For some cars this may be six weekends of racing, but for others, it may be good for usage all year. If the color or smell begins to change, its time for new fluid. Contact BTE with any questions about which ATF is best for your high performance vehicle. I had no idea that they tailored the transmission fluid, to the type of car you drive. It's cool that for racing cars they have had to alter the formula so much as to prevent foaming, and to have a high temperature flash point. My son's car is a racing car, and he has had a lot of problems with it lately. I'll have to double check, and make sure we are putting the right transmission fluid into it.